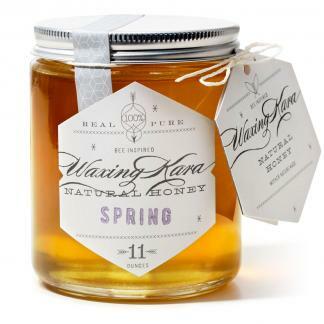 If you’re a bride in need of honey gifts for your bridesmaids, we have 8 honey gifts for you, all under $30! Are you hearing bells yet? 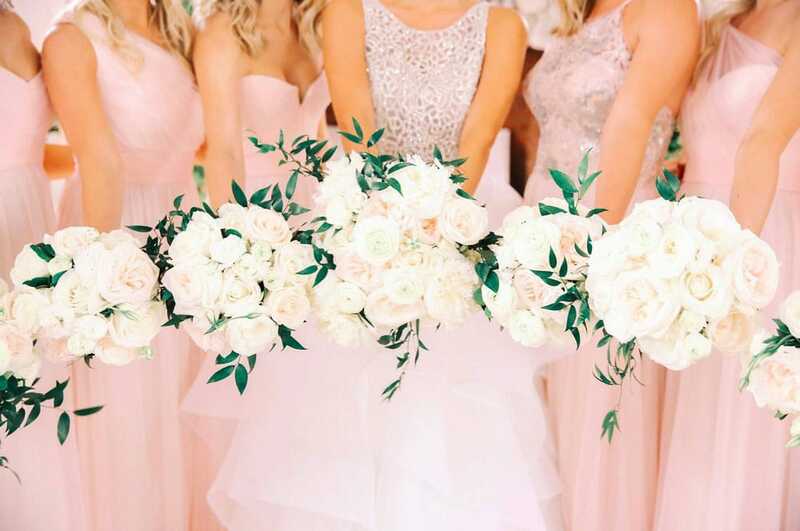 While most of the attention on wedding day rightfully goes to the lucky couple, it’s nice to share the love with the rest of the wedding party. 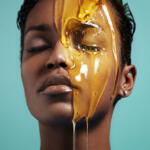 Nothing says love like Eastern Shore Honey or Bee Inspired® honey gifts. Your girlfriends will love these little thank-you’s, and they’ll definitely use them long-after the big day. If heavy lipstick isn’t your bridesmaid’s thing, our Sweet Lips are a great gift! Available in several colors that suit all skin tones, these lip balms soften and protect lips while providing a beautiful sheen of color. 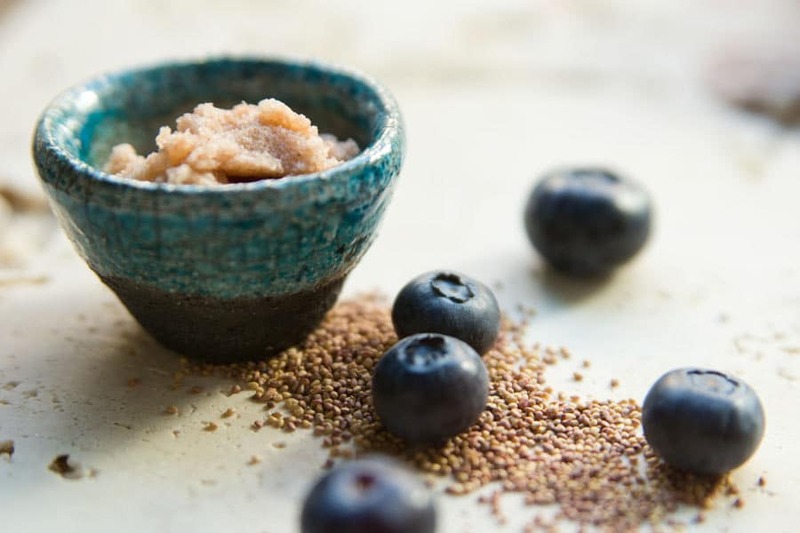 Our Chesterhaven Salt Scrub is a great gift for your maids to use before the wedding. 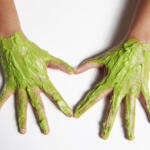 It’ll polish away dry dull skin and reveal a healthy, glowing complexion that’s fortified and nourished. Featuring intoxicating, skin-loving scents of a wildflower field, it is both romantic and beautiful. 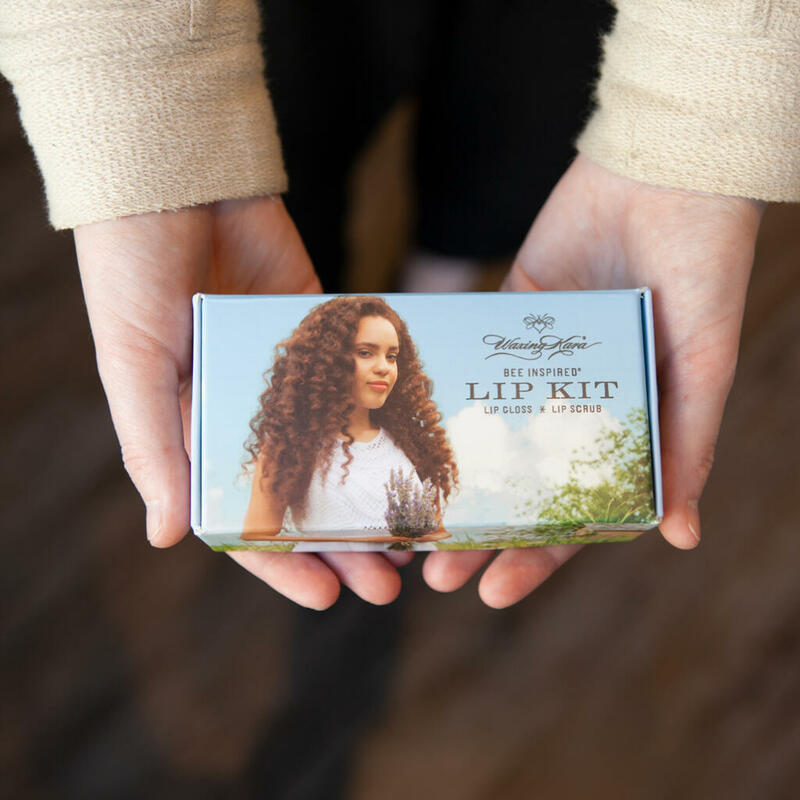 For the sweetest and most polished lips, our Bee Inspired Lip Kit is sure to make everyone smile! The polish will smooth lips while the gloss can be used as a conditioner or over lipstick to add shine. What everyone will appreciate is that this kit is 100% plant-derived. Our Girlfriend Honey Gift makes an excellent bridesmaid gift. It includes a 2 oz. 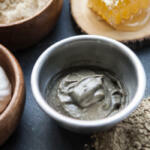 sample size product of our famous and best-selling Peace of Mind Honey Body Scrub, Petal Tinted Sweet Lips made with honey, and a bar of our fruity and sweet smelling Sun Bar Soap. It’s a lovely token of appreciation of several awesome, yet less-expensive presents that any girl would be glad to get. 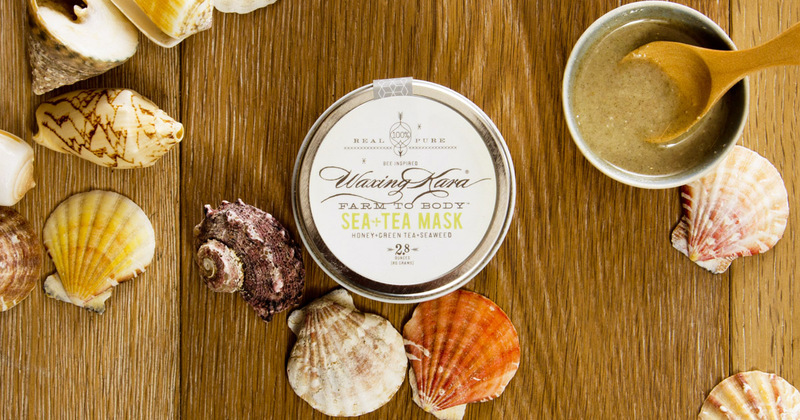 A symphony of green tea, seaweed and clay treats, the Sea+Tea Mask tones and refines skin as it replenishes vital minerals, hydrating the skin and reducing pesky blemishes. 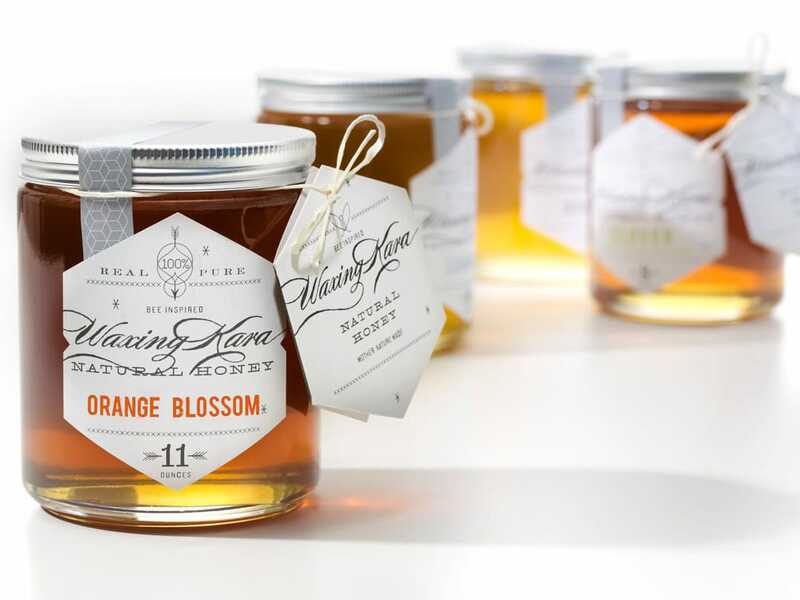 As a sweet thank-you for their love and support, our Orange Blossom Honey is a great gift to give your bridesmaids after your wedding. It is bold and citrusy, and is great to use in just about any recipe-especially desserts. Pomegranates historically represent wisdom, tradition, and beauty. 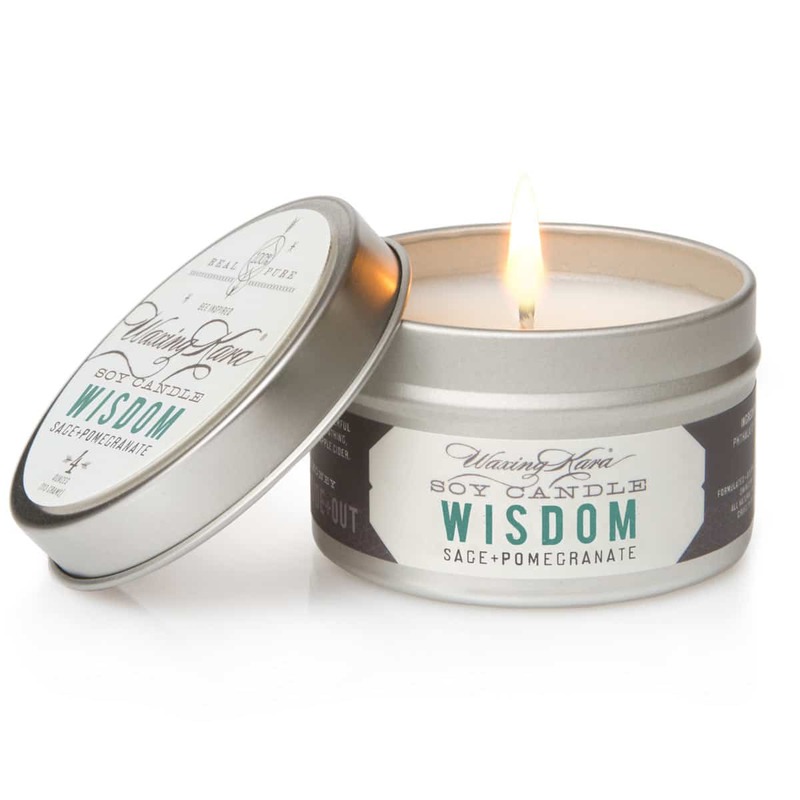 Our Wisdom Soy Candle opens with strong sage and finishes with tart and tangy pomegranate. It includes slight notes of orange peel, and would surely be a favorite for your girls who love to fill their homes with warmth and light. 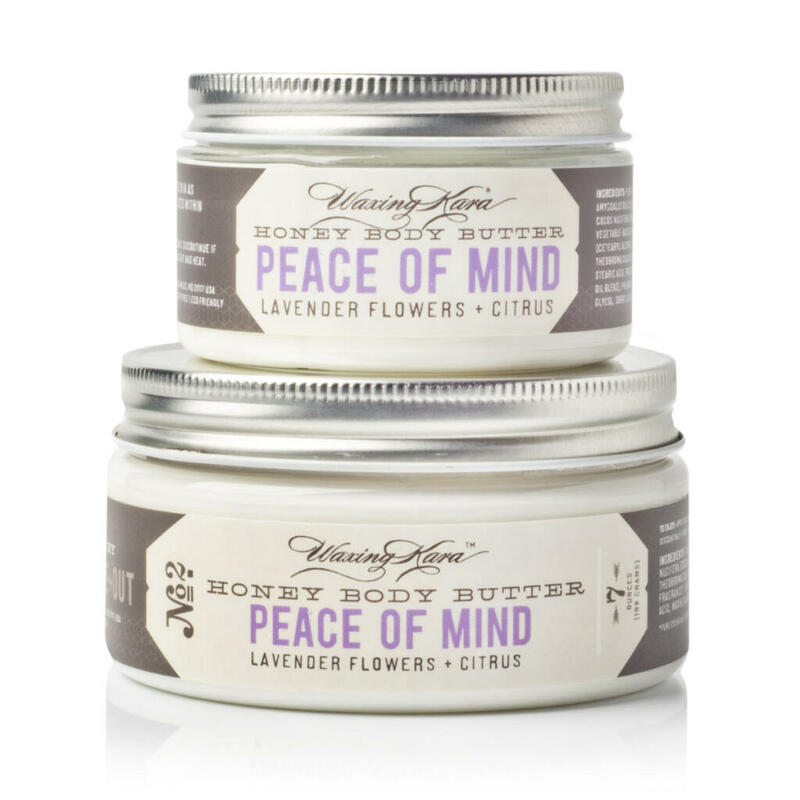 Peace of Mind Body Butter is made with our Eastern Shore honey. It boasts a rich, intensive butter that provides moisture for up to 24 hours. A perfect bridesmaids gift of honey and lavender relaxes the body and heal the skin, so they will be both radiant and beautiful. 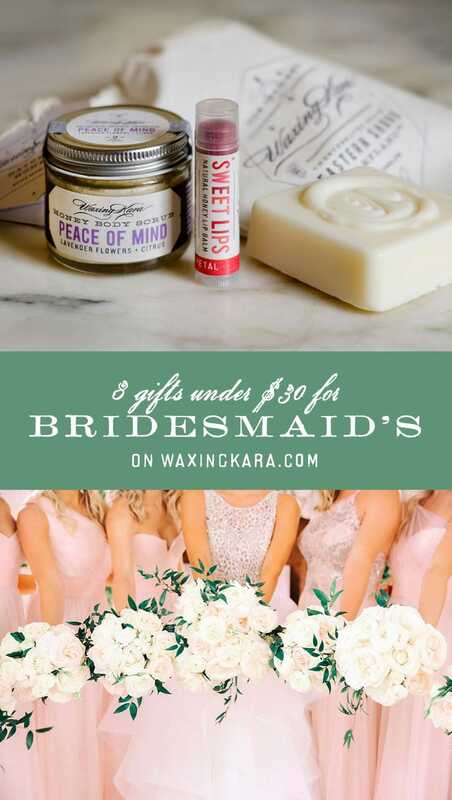 If you have purchased Bridesmaid’s gifts from Waxing Kara, please share your photos with us using #waxingkararecipes on Instagram. We love seeing your photos!